Heart of Texas Motel of Austin offers great rooms at competitive rates. Located near the popular Austin–Bergstrom International Airport and Austin Zoo you will find plenty to do whether you are traveling for business or pleasure. We are pleased to offer our travelers Swimming pool, Television, and Microwaves. 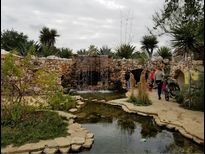 The Lady Bird Johnson Wildflower Center is The University of Texas at Austinfs internationally recognized botanic garden dedicated to inspiring the conservation of native plants in natural and designed landscapes. The Center promotes its mission through sustainable public gardens and natural areas, education and outreach programs, research projects, and consulting work throughout Texas and the surrounding region. Founded in 1976 as Westcave Preserve, the mission of Westcave Outdoor Discovery Center is to inspire people to develop a lifelong practice of enjoying and protecting nature. We accomplish this through educational programs, collaborative alliances, and conservation of our beautiful 76-acre preserve. 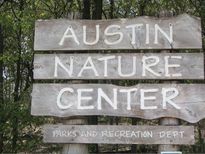 The Austin Nature & Science Center (ANSC) was established in 1960 and is part of the City of Austin Parks and Recreation Department. Our mission is to provide hands-on educational exhibits and recreational activities that increase awareness and appreciation of the natural environment. We are centrally located on the western edge of Zilker Park, in the Zilker Nature Preserve. ANSC offers indoor and outdoor exhibits and provides environmental science education programs to schools and the community in and around Austin. 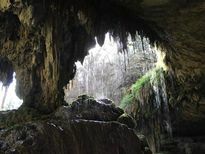 The site hosts homeschool groups, scout troops, family events, environmentally focused camps, and adventure programs.